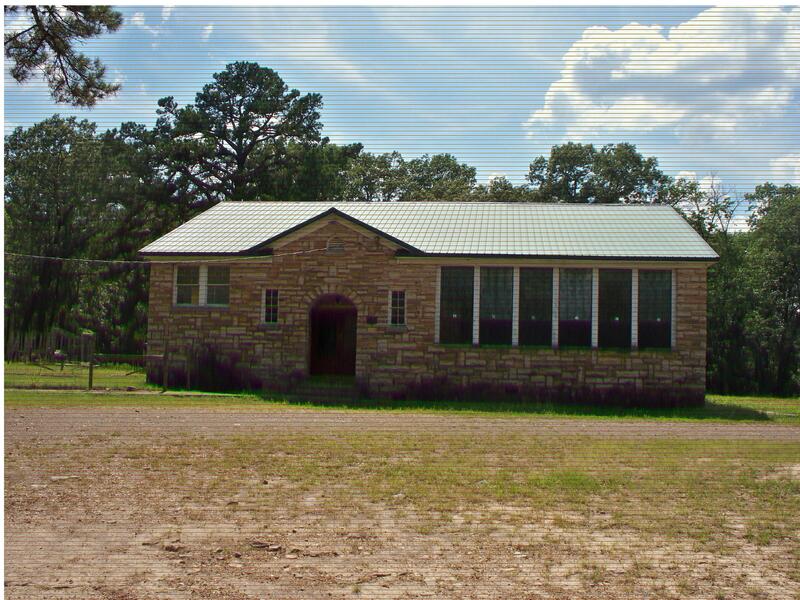 A three room building, the Burkhart school is a single story, rectangular ( 48′ x 79′) structure constructed of rusticated and coursed native sandstone. 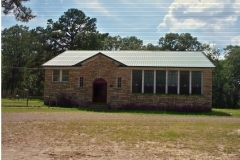 The gable roof is intersected by a frontal gable, the latter asymetrically placed over an arched entryway leading to recessed doors. 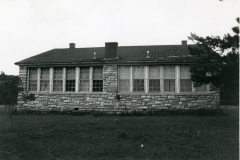 Classroom window openings, with concrete sills and wood sash windows, extend to the eaves. The roof is in need of repair. 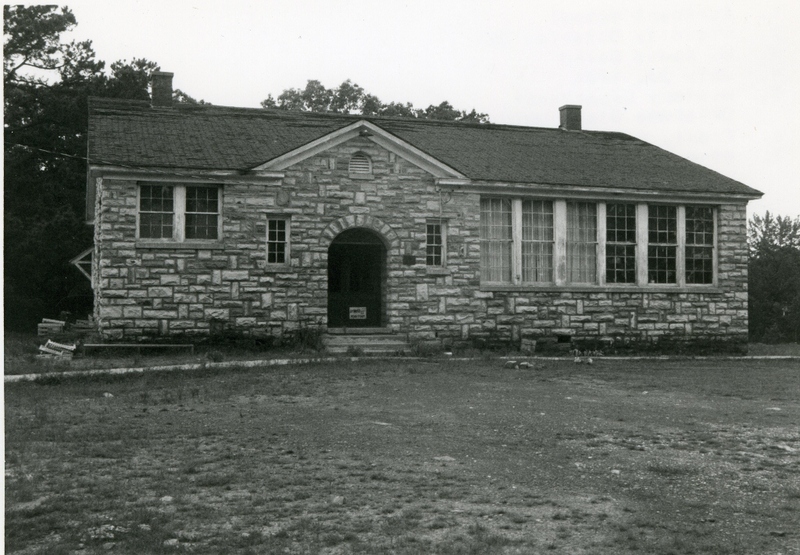 Situated in a very remote area, the Burkhart school constituted the genesis of modern education in its service region. 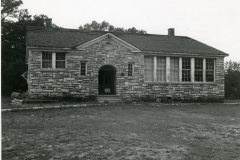 That role continues today, with the structure still being used as a headstart facility. 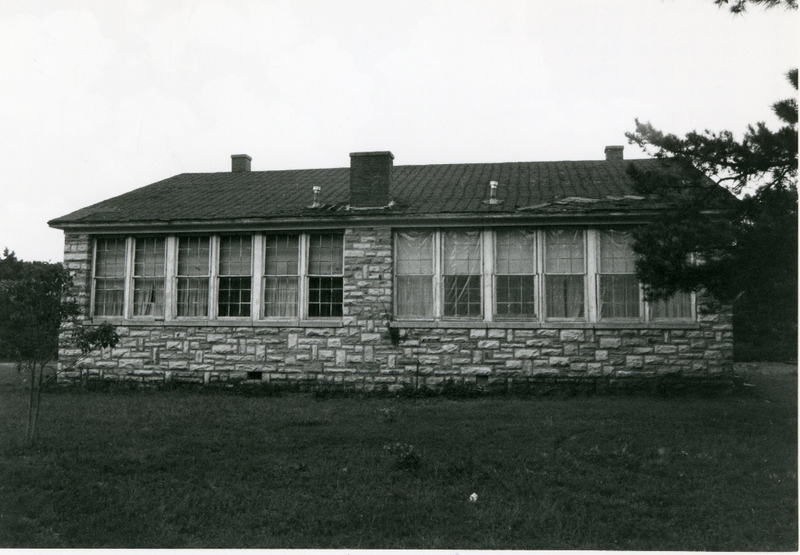 Equally important is that construction of the school building provided work opportunities and some economic security for unskilled and unemployed agricultural and forest industry laborers long restricted to the relief rolls of the state. The only structure of its kind in the region, the building is significant architecturally for its type, style, scale, materials and character of workmanship. VERBAL BOUNDARY DESCRIPTION: Follow U.S. highway No. 279 north across the Leflore County line to the first paved county road intersecting from the west; turn west and go approximately ten miles through Octavia and Ludlow to the school site on the south side of the road. The property line begins at a point 209 feet west of the NE corner of Sec. 26, T 1 N, R 23 E, and runs 418 feet south, 209 feet west, 418 feet north and 209 feet east.